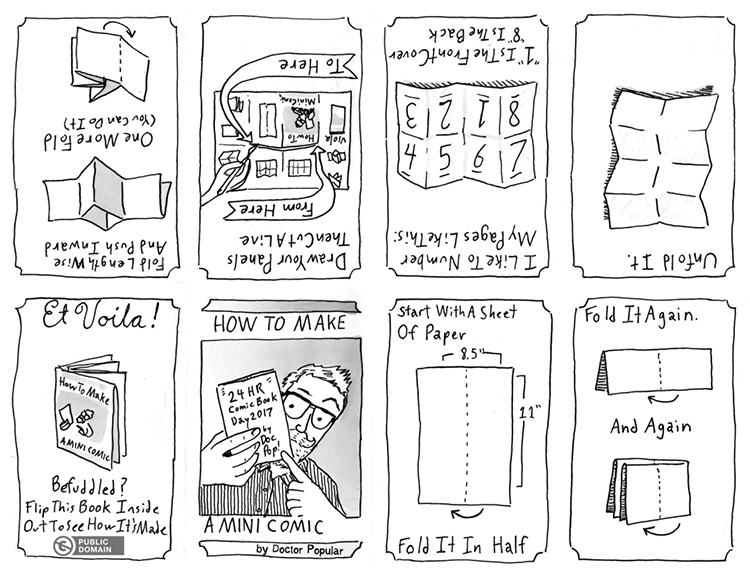 Doctor Popular has created a wonderful step by step tutorial on how to make your own mini-comics, a guide to printing, cutting and folding a comic into an 8 page zine. The handy paper guide template is available to download and fold from the comfort of your own home. He also posted a video of his friend, 7th grader Audrey talking about her first mini-comic that features an irritating kid in her class.